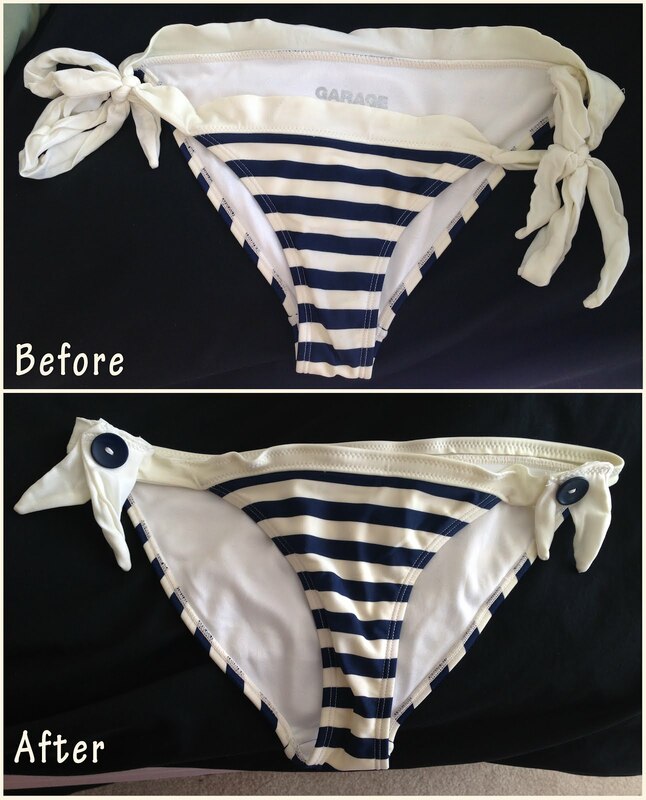 I was recently on a holiday and had one of my fav bikini bottoms stretch out so it no longer fit tightly on top, the fabric was loose and didn’t want to stay on very well. I really didn't want to toss it so I attempted to fix it. First, I folded over the waist for a better fit with the fabric sitting tighter along the belly. 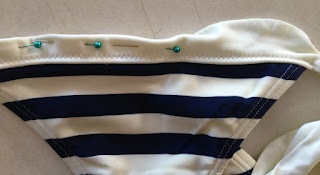 Next, I didn’t like always having to tie the sides every time I put it on, so I sewed the sides together and shortened the ties (this will allow for less blotchy tan lines). To give it some extra pizazz I added on a couple of navy buttons, which helped to also hide the stitching. 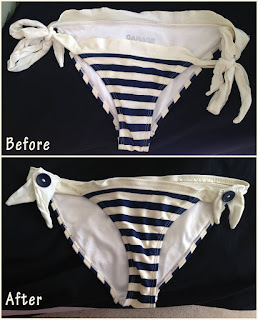 Hip ties on a bikini always bothered me too. Nice save!